It’s spring, 1323 AD, and John Little, notorious outlaw, seeks to forget his troubles in a Barnsley alehouse. He didn’t count on the place being packed to the rafters with drunk, belligerent Scottish mercenaries though. The locals all respect – even fear John – but the strangers from the north only see in him the chance to claim a great bounty. When the hard stares and furtive whispers turn into explosive violence the chase is on. Without any of his famous friends to help him though, will it mean the end for the giant outlaw? This new stand-alone Forest Lord tale sees one of England’s favourite sons in a battle for his very life that will hugely entertain all lovers of action and adventure. So this is a super short fun tale that fits in with McKay’s Forest Lord Series. It slots in nicely between books 2 & 3 so I’d advise not reading this until you’ve finished book 2 at least. McKay’s Forest Lord series mainly focuses around Robin Hood as you’d expect so this short is a good chance to shine light on Little John. It’s short at 19 pages but does offer an action packed little tale to read. The plot is really good and it was a really nice change of focus Robin not being involved. Little John gets to show how much of a formidable opponent he is and the image McKay paints is spot on with how I’d imagine the character myself. I do hope we see more short tales as I think these are the perfect accompaniment to the series. This entry was posted in Book Reviews, Historical Fiction, Short Stories and tagged Authors, Bloggers, Book club, Book Lovers, Book Reviews, BookBlog, Books, History, Reading, Reading List, Reviews, Robin Hood, Short Stories, Steven A. McKay, Writing on April 4, 2017 by Bairdy1985. As Robin Hood and Little John take the criminal into custody they find the people of Stapleford accommodating enough and the terrified victim’s bruises are plainly visible. Inevitably, as they set off on the journey back to Nottingham the lawmen’s disgust at the captive’s crime colours their opinion of him and Little John has to be restrained from brutally assaulting the man. Can Robin and John complete the mission they’ve been given, or will their own innate sense of justice lead them down an unexpected path? Fans of the bestselling Forest Lord series will love this exciting new stand-alone tale, set just before Blood of the Wolf, that explores the themes of morality and justice in medieval England. The Prisoner is a short story in the absolutely brilliant Forest Lord series by Steven A. McKay which brings fresh life to the tale of Robin Hood. This short is 27 pages long which isn’t much but you get a good little story for your 99p. If like me you’ve read the rest of the Forest Lord series you’ll be needing a fix of McKay right about now and this does the job nicely. What I really enjoyed about this tale is once again how the author manages to give an ending I didn’t see coming. You really never know with McKay what twists and turns he’s going to throw at you. For me the story ticks all the right boxes for a short tale. If you’re familiar with the series you’ll love being back, and if you’ve not read the series yet this would a be a great insight to McKay’s Robin.. you can’t go wrong for 99p in my opinion. This isn’t a Christmas tale but it does have an ending which can bring a smile to your face and give you a bit of joy which is exactly what you need at this time of year. Justice will be served. 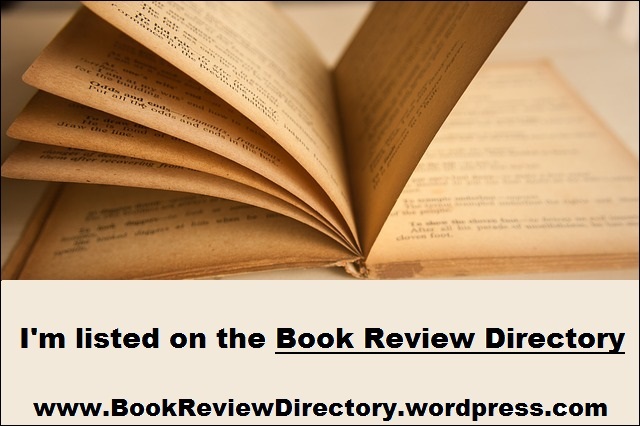 This entry was posted in Book Reviews, Historical Fiction, Uncategorized and tagged Bloggers, Book club, Book Lovers, Book Reviews, BookBlog, Books, Historical Fiction, Little John, Reading, Reading List, Reviews, Robin Hood, Steven A. McKay on December 26, 2016 by Bairdy1985. After winning his freedom in Rise of the Wolf, Robin – with his faithful lieutenant John Little at his side – now spends his days travelling around northern England dispensing King Edward II’s justice. Will Robin’s reunited gang be enough to defeat this savage new threat that seeks to wipe them out one by one? Or will another old foe provide the final twist that sees England’s greatest longbowman dead and buried? This stunning conclusion to the bestselling Forest Lord series will delight and entertain readers looking for action packed historical fiction in the mould of Scarrow, Kane and Cornwell! Robin is back! And this is the best yet. Dark, gritty and downright engrossing. After the last book I had no idea what would be coming next but not in a million years did I imagine him working for the sheriff, and that he has grown to like/respect the man.. neither did I expect to feel the same way! Characters are turned on their head at the beginning of the tale, Robin isn’t the man he was..he’s changed and we gradually learn why..Robin can’t help everyone and some people will always take advantage. It was an interesting twist to Robin to see him grow and understand this after his time as a wolf’s head. Robin has to bring his old gang back together one last time to stop these outlaws but a lot has changed over the years. They are older..some settled. Will they all make it out alive? Well let’s just say it’s not McKay’s style to have everyone survive is it..but even I was shocked at the brutality of this tale.. it’s the darkest of the series so far and brought something extra to the tale. With the other books in the series I always felt Robin would win.. this one I just wasn’t sure he had it in him..this feeling kept me reading until the early hours as I had to find out if he could make it out of this one. Growth is the word I’d pick to describe this book, I honestly feel not only did Robin grow but so has the author.. this is his best yet and this plot left it wide open for the author to really use his imagination.. and boy has he! McKay has delivered when I thought the series had come to a natural end and has given us his best tale yet. My favourite little scene in book was when Robin had been playing with his son and Little John visits. While the men talk Arthur goes quiet and the author hints it’s when kids go quiet you have to be worried not when they are making noise.. as a dad of two I really understand this ha. McKay’s true talent lies in the development, he makes everything come alive and as a reader you can really get to grips with the tale.. become a part of it.. lose yourself in the moment. This entry was posted in Book Reviews, Historical Fiction and tagged Bloggers, Book club, Book Lovers, Book Reviews, BookBlog, Books, Historical Fiction, Reading, Reading List, Reviews, Robin Hood, Steven A. McKay, Writing on October 14, 2016 by Bairdy1985.